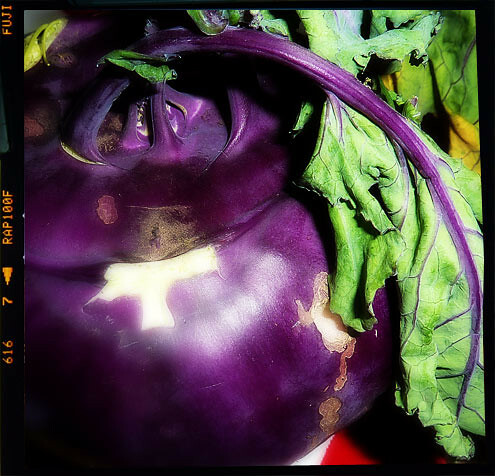 Peel the kohlrabi, cut in half and slice as thinly as you possibly can. Do the same with the potatoes. 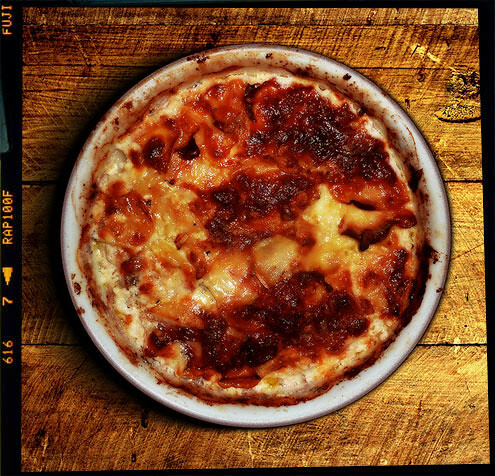 Butter a suitably-sized ceramic baking dish and layer alternately with kohlrabi, potato, seasoning and cheese. Continue with your layering, topping off with some cheese. Mix together the cream, milk and garlic and pour over your layered dish. Grate over some nutmeg and place in the oven for 1-1½ hours (dependent on how thinly you sliced) until the vegetables are tender and the top bubbling and golden – cover with foil if it starts to get too dark. Verdict: We served this alongside rabbit stew and winter greens to a pair of very appreciative guests. Entertainment: A night out at ‘The Hole in the Wall’ – despite being closed it still remains the best pub in (central) Hebden Bridge. *Hated every moment of it. ** There were those at my school (Oxford High School) who most certainly could, we called them ‘latin scholars’ as they chatted in the lunch queue in Latin. I quite enjoyed school.